Kaigousuru 1997-2007 RIP …only 19 days left to the beginning of the end! With world renowned instructors such as: Arnaud Cousergue (France), Dean Rostohar (Croatia), Elias Krzywacki (Sweden/Norway), Ed Martin (USA), Hans Nilsson (Sweden), Keith Porter (UK), Lauri Jokinen (Finland), Lubos Pokorny (Czech Republic), Mariette Van Der Vliet (Holland), Mark O’Brien (USA/Japan), Mats Brickman (Sweden), Mats Hjelm (Sweden), Michael Schjerling (Denmark), Pedro Fleitas (Spain), Peter Jonsson (Sweden), Rikard Sundelius (Sweden), Shawn Gray (Canada/Japan), Sheila Haddad (USA) 15th Dan, Steffen Fröhlich (Germany), Sveneric Bogsäter (Sweden/Holland), Thomas Franzen (Sweden), and many more..
Kaigousuru has become one of Europe’s finest Bujinkan seminars/gatherings. It is with not without sadness, that we announce that this year will mark the end of Kaigousuru. We have decided that after struggling for 10 years to make ends meet and meet all the demands of our participants, have taken its toll on us. We will therefore make this end a glorious one, for everyone attending, as it is as much a celebration as it is an end, for all of us. 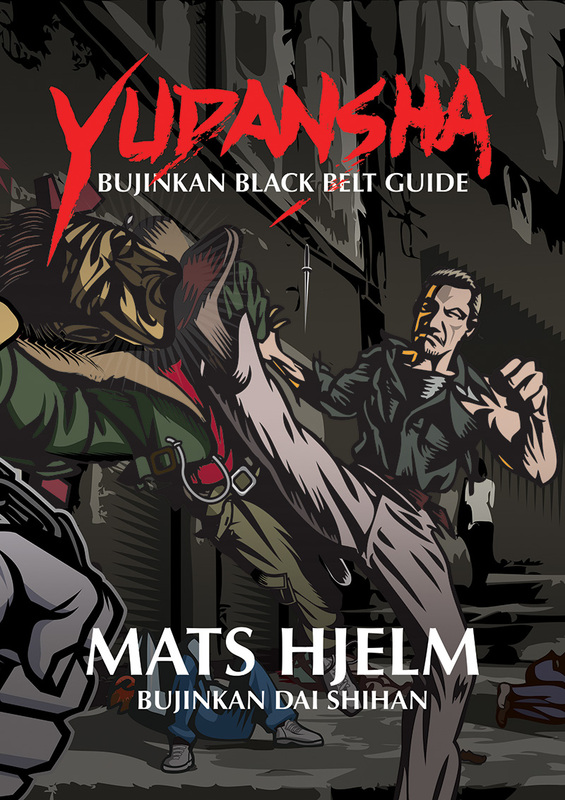 This does not however, mark the end for us or our continued participation in Bujinkan activities. It is only the natural cause of things, that it has had its way, and that it now opens up for the beginning of something new. It is harder today for any organizer of Bujinkan events to make ends meet, with so many seminars and good instructors available all over the world. It has been a great time for us, who have organized and hosted The Kaigousuru event for all of you these last 10 years. We have had a great time, and hope that everyone who have attended have had the same. We hope that Kaigousuru, as an idea, will continue to live on in your hearts, shaping Bujinkan into what it will be tomorrow. We will end this by giving all of you a challenge. Don´t miss out on this last event, the last of 10-years creative and familiar Bujinkan training parties! Register now, there is still space available. We hope to see you all at Kaigousuru, training and celebrating the end of the beginning with us!